Top-end and very much on-trend, stainless steel pools have never enjoyed such high demand; highly sought-after by both architects and directly from clients themselves. A modern, timeless material used widely in interior design, stainless steel complements all types of designs, blending perfectly with an array of materials but especially glass. What is more, stainless steel pools are extremely durable, ensuring the lasting beauty of the pool and, because they require less water sanitisation they are better for the environment and lower on maintenance. 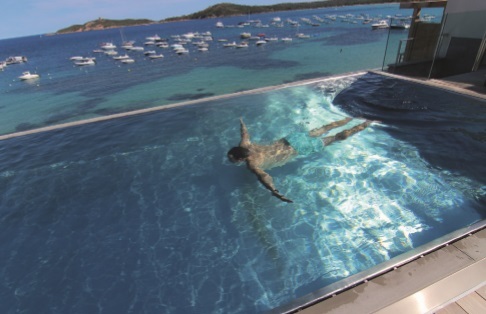 Even more crucially, the prefabricated stainless steel pool material and associated technology enables the pool to be built in less time than it takes using conventional construction methods. It’s perhaps not surprising, given the high-end, luxury market the London Swimming Pool Company serves that they have been among the ﬁrst to extoll the virtues of stainless steel options. “Stainless steel is ideal for both private and commercial installations,” acknowledges Jamie Smith of London Swimming Pool Company. “There is no worry about waterprooﬁng because stainless steel pools are permanently watertight and extremely durable, providing maximum service life without any loss of aesthetic quality. “Unlike a tiled pool, there is no need to worry about replacing worn tiles in the future,” says Jamie. “Stainless steel blends with a wide variety of architectural surroundings – it works well in both modern and traditional settings; for indoor and outdoor pools. Stainless steel finishes are easier to modify, enabling designers to achieve unique pool shapes and sizes not normally available with other materials. Also, the material is considerably lighter in weight than a conventionally constructed pool because it arrives pre-constructed as both a pool liner and finish. This makes it possible to build a pool in parts of the location where a heavier concrete pool may not be feasible such as rooftop pools. Finding the right supplier was essential and LPSC looked at several. Berndorf Bäderbau have been designing and manufacturing swimming pools since the 1960’s and have completed more than 6,000 swimming pool projects across Europe. The company’s stainless steel swimming pools are the core of adventure swimming pools and recreational facilities as well as spa landscapes of hotels and private properties and residences. PACE became agents for Berndorf Bäderbau for the UK in 2016, and having worked with other divisions of Berndorf for many years previous in other engineering capacities, they have now become the leading authority in the design, production and installation of stainless steel swimming pools worldwide. 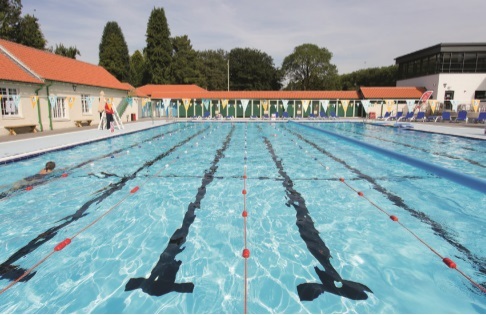 “We specialise in major pool and spa refurbishment works within the public sector and offer a complete service for public pools and leisure centres,” explains Managing Director Paul Lawson. “We can introduce a stainless steel pool into almost any existing swimming pool allowing and providing for all the benefits and long term cost savings associated with stainless steel pool,” he adds. As Europe’s number one stainless steel pool manufacturers, Berndorf Bäderbau have extensive experience in building and refurbishing large-scale commercial pools. The company can advise and offer a professional service to holiday parks and resorts, hotels, health clubs, spas and schools. 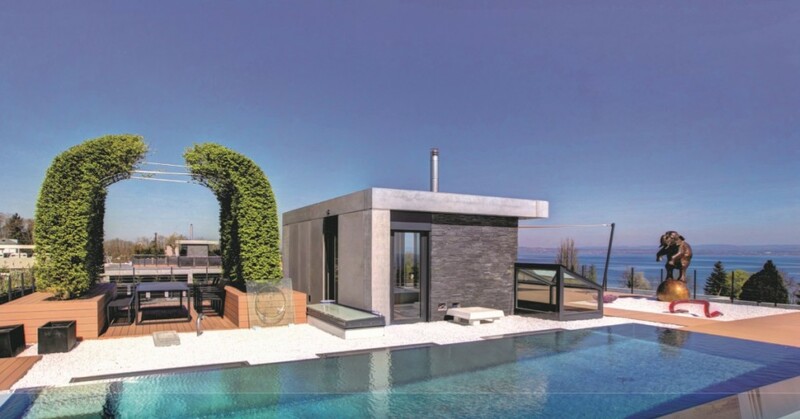 To read more about the On Trend stainless steel pools subscribe to Pool and Spa Scene here.